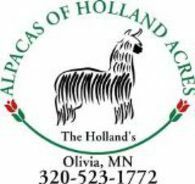 I have 11 intact Suri males plus 2 new male crias. I've been reading about gelded males and most of what I've been able to find says that gelding them improves their fleece quality and personalities. Does anyone have any gelded males and what is your opinion/experience on this subject? Any information would be greatly appreciated. That is also what I have read. Plus they will fight less and you can pen them with females if needed. We only ever gelded one male, that cost us about $250. It did not improve the fighting, boys will be boys and will still fight for top dog. We ended up selling him for $300 so we lost money on that boy.....we would never do it again, and most likely would never put any male in with our females...even gelded. OK, that's my dilemma. Thank you for your response I appreciate it. Geldings should not be kept with females as they will still attempt to breed and can cause real damage to females that way. Gelding does calm males and will help to prevent fights- it also slows the development of fighting teeth if done before those appear. I have 2 boys who Ive had gelded- one at 10 months which I now know is too young - 2nd was done at the advised age of 18 months which I personally think is a bit older than ideal but I am very pleased with the way these boys get along now. 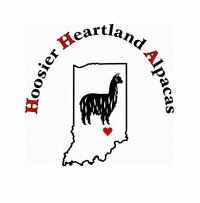 If done the best way- under IV anesthesia using same midline technique as for a pet dog- it can be pricey - $300 or so- but having it done cheaply - ie no anesthesia, no pain meds, less involved technique- is more apt to result in problems like bleeding -and is imo cruel to the alpaca. I think DIY gelding is a horrible idea- it is a surgical procedure! Have a vet do it.